Around the year 2000 a friend got a hold of a wrecked '81 CB650 Custom. The previous owners had hit a deer with it and bent the forks and triple tree. The original 4 into 4 exhaust was also damaged in the accident. 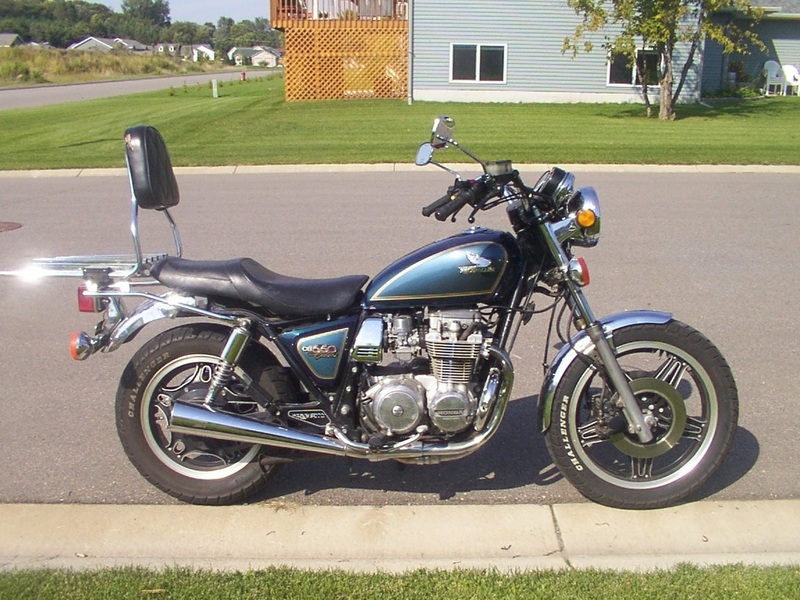 So, Scott replaced all the front end, and replaced the pipes with standard CB650 4 into 2 pipes, and sold the bike to me for a "buck a cc" ($650). 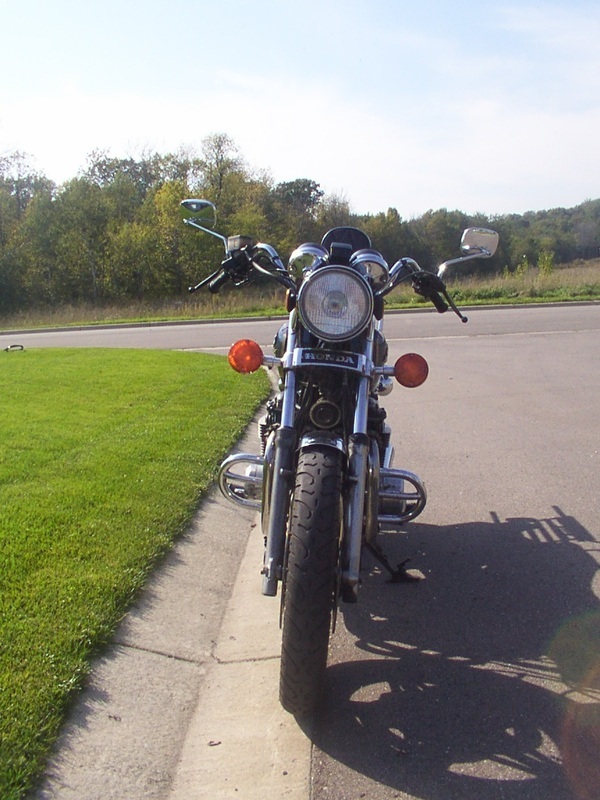 The bike had great low end torque, but sadly the gearing was set for the old 55mph speed limit. 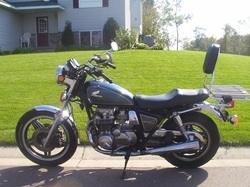 At 65 mph it was at 5500 rpm and vibrated quite a bit, making it rather uncomfortable to ride on the highway. It originally came with an aftermarket touring seat, but I didn't like it, so I replaced it with a Nighthawk seat I got from eBay. 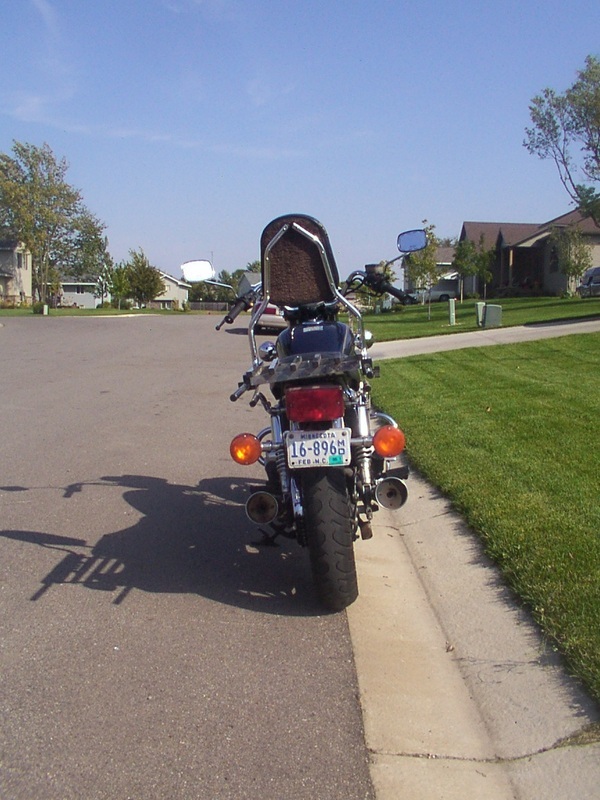 Below are some pictures I took shortly before selling it in 2005 to get the GoldWing. Front Tire Dimensions: 3.50 – 19"
Rear Tire Dimensions: 130/90 – 16"